Officials from Roscosmos, the Russian space agency, announced the delay Monday, saying the extra testing will improve the safety of the mission. Russia’s Tass news agency reported last week that the launch of the Soyuz crew may be delayed from June 24 to resolve a potential glitch in the capsule’s software that could pose a problem during the spacecraft’s docking with the International Space Station. Roscosmos said Monday that the Soyuz mission is now set for liftoff July 7, local time, at the Baikonur Cosmodrome in Kazakhstan. The launch aboard a Soyuz rocket is scheduled for 0136 GMT (9:36 p.m. EDT on July 6). 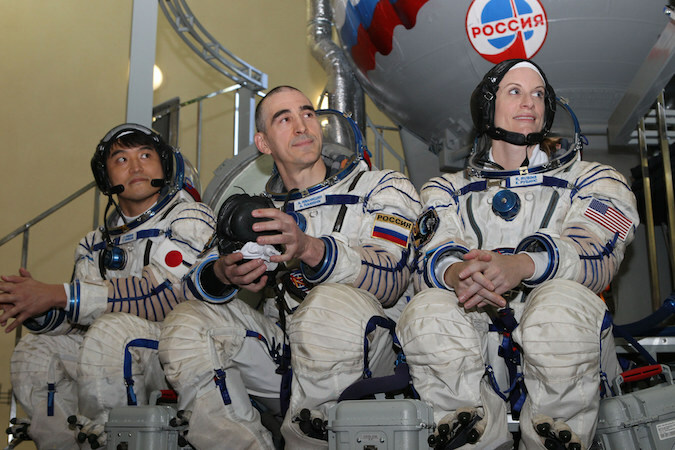 The Soyuz craft carrying commander Anatoly Ivanishin, Japanese flight engineers Takuya Onishi and NASA astronaut Kate Rubins is an upgraded model of the venerable Russian crew transporter. 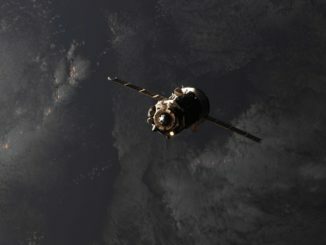 The Soyuz MS-01 spacecraft features more efficient solar panels to produce more electricity and a modernized navigation and control system with an improved, smaller and lighter Kurs rendezvous radar, which feeds range and closure rate data to the capsule’s computers during approach to the space station. A digital video system replaces an analog system to improve video links with the space station during the Soyuz rendezvous with the outpost. Engineers also added upgrades to the Soyuz command and telemetry system, including a radio link with Russian data relay satellites in geostationary orbit, allowing communications between the Soyuz crew and flight controllers when the capsule is flying outside the range of ground stations. 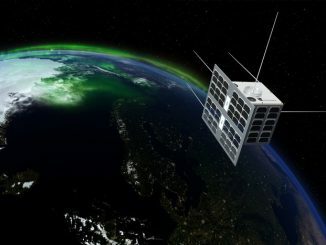 Other changes include a backup digital motion control system, upgraded angular velocity sensors for the Soyuz guidance system, and new LED lights, according to RSC Energia, the builder of the Soyuz spacecraft based near Moscow. Russia introduced similar upgrades to the Progress supply ship last year, and two Progress MS-series spacecraft successfully flew to the space station in December and April. The launch with Ivanishin, Onishi and Rubins will mark the first launch of the Soyuz MS-series with a crew on-board. The trio will dock with the space station’s Rassvet module at 0413 GMT (12:13 a.m. EDT) on July 9, taking a two-day approach to the complex instead of the six-hour flight practiced by most recent Soyuz missions. 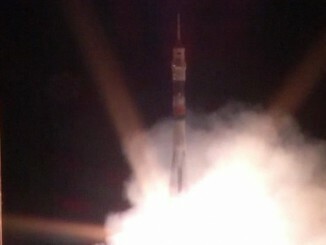 The Soyuz launch delay will also have a ripple effect on the space station flight manifest in July. 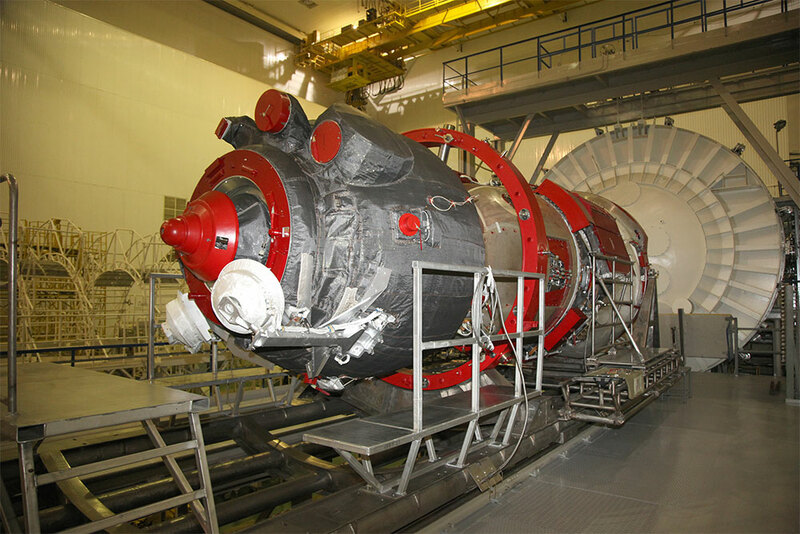 The launch of the Progress MS-03 refueling and cargo freighter was set for July 4, but Russian officials have rescheduled the mission for liftoff July 16 at 2141 GMT (5:41 p.m. EDT). Carrying several tons of supplies and provisions, the Progress spacecraft will link up with the space station’s Pirs docking compartment at approximately 0026 GMT on July 19 (8:26 p.m. EDT on July 18). The impact of the Russian rescheduling on planned cargo launches by Orbital ATK and SpaceX in July remains unclear. The homecoming of a three-man crew this month will stay on schedule, Russian officials said. Cosmonaut Yuri Malenchenko, NASA commander Tim Kopra and European Space Agency astronaut Tim Peake are due to depart the space station June 18 inside their Soyuz TMA-19M capsule and land in Kazakhstan a few hours later at 0912 GMT (5:12 a.m. EDT), concluding nearly 186 days in orbit. Before heading home, Kopra will hand over command of the space station to NASA astronaut Jeff Williams, officially beginning the Expedition 48 mission. An Orbital ATK Cygnus supply ship is expected to detach from the space station June 14 to end a nearly three-month stay at the research lab.